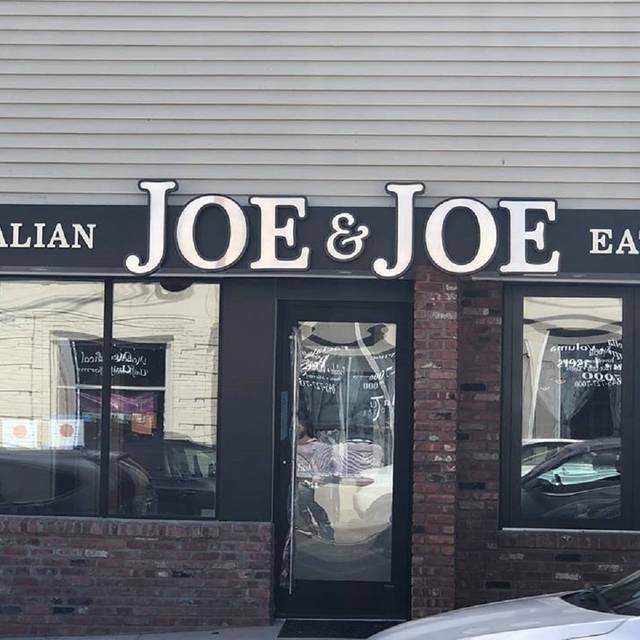 You must make reservations at least 5 minutes in advance of the time at Joe & Joe Nyack, Italian Eatery. Designated parking on side of building and across N. Mill Street in Church Parking lot. Serving fresh homemade Classic Italian Cuisine, brick oven pizza. We also have many gluten free and vegan options as well as burgers and a great selection of salads Tuesday through Sunday. We carry a great selection of craft beer and specialty cocktails made with freshly squeezed juices and house made simple syrups. We started with a great, high-top table by the window, just what we asked for. Server was very friendly, but not too attentive. Did not check on us for quite some time. Waited for 2 glasses of wine which never came. Once we were done with eating our main meal, I went to Anthony, who I did not know was the owner. Asked him to let our server know we wanted to cancel the wine order. He profusely apologized and insisted on giving us the wine anyway, on the house. Anthony then insisted once again, that we have dessert, also on him. Overall, the food & atmosphere were great. Anthony turned the one negative experience of our evening into quite a positive. Never care about free things, just attention and response. Looking forward to going back! FIRST TIME TO THIS NEWER EATERY AND WAS NOT DISAPPOINTED. THE FOOD WAS GREAT, THE SERVICE WAS ATTENTIVE AND VIBE WAS ENERGENIC. WILL BE BACK. Say at a high top near the window. Great atmosphere and the Chicken Marsala was the best ever. Can’t wait to go back !!! Excellent food, friendly staff, lovely ambiance! I would definitely go back again soon! The ambiance, decor, style service, food were all amazing. the owner and staff are extra attentive. We've been there 3 times and will go back over and over again. We can't wait for the weather to improve in order to try dining outside. After a nearby church event and in need of some sustenance, made a quick Open Table reservation for 9:45. Grew up literally across the street from the original Joe & Joe’s in the Bronx. Upon arrival, met with Anthony Longobardo, the owner. A fellow Bronxite and Holy Family parishioner, we reminisced. Had a great meal. Large portions with freshly made potato chips. Restaurant is smartly designed with a large pizza oven next to the bar. Very nice experience. Something local and different. This was our third time there and recommended to several friends! A very pleasant surprise - have been to Joe & Joes in Pearl River - but this has a different ambiance to it. Very comfortable environment - excellent food. Would recommend to anyone. Great food great fun, GREAT service!!! We cannot say enough wonderful things about the staff. So warm and extremely accommodating!! Anthony is a wonderful host!! Great,great new Nyack restaurant. Great service, big portions, great drinks. The staff is wonderful as well. Say hi to Anthony the owner, who is always in the dining room. And a great deck for when it gets warm. The food was good. The waitstaff was courteous and prompt. Nyack is a foodie town and the place fits in well. The only complaint we had was being seated upstairs with a very bright light in my wife’s eyes. Our waiter explained something about a fire regulation but our first though was why put a table there. It was uncomfortable.